How to – Transcribe webinars. Improve the Quality of the Recording. Webinars are short for Web-based seminars that cover a wide range of topics. They could be in the form of a lecture, a presentation, a workshop, or a seminar that is transmitted over the Internet utilizing video conference tools or software. The most important feature of a Webminar is the freedom to interact and the freedom to share information with other participants. Webinars could be delivered by any group of people including experts from a wide range of industries and cover everything from classroom tutorials to board meetings and reviews. 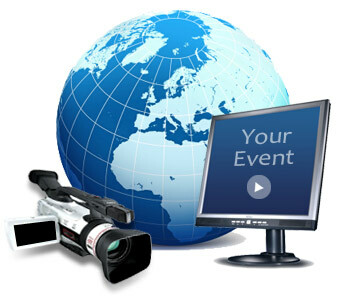 Webcasts are basically audio and/or video broadcasts using the Internet. They could be either live or delayed broadcasts, quite similar to radio and television broadcasts. In comparison to webinars, Webcasts are just one-way data transmission and they do not include interactive elements. The audience cannot interact with the presenter of the webcast. A typical hour-long Webinar produces around 10,000 spoken words. An good average sentence length is 15 to 20 words. That means that you have about 600 sentences or 120 paragraphs that you could break down, restructure and use as valuable content for your blog! That’s a huge amount of information as it would fill approximately 25 pages, A4 sized! This would be very helpful in attracting visitors and increasing the visibility of your blog or website. However, including all the 10,000 words of content in a single blog post is not likely to help you. Most people would not want to read an article or a post that long! Instead, break it down into smaller sections and use it as a series of posts. This way you could capture the interest of the readers and expect them to come back to you for the next post in the series. You could break down the blog either topic-wise or speaker-wise and then summarize at the end of each article or at the beginning of the next article to refresh the memory of your visitors. It is possible to transcribe webinars on your own, but sending them to a professional transcription service provider is the best way to go about it because an experienced transcriptionist will be able to perform the task much more quickly and accurately. Also, your time plus your effort equals your money. Outsourcing the webinar transcription to a professional service would always turn out to be more cost effective for you when you compare it to the cost of doing it yourself. 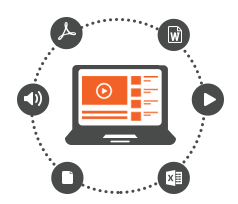 Once transcription of your webinar has been completed & the finished transcript delivered to you, think about the options of diversifying the presentation of your content. Using the content as is will do the job, but in order to attract more & retain attention of your blog post visitors or article readers you may want to also think about creating slideshows and graphics. You should look at creating the most interesting and engaging content possible, so that your users share it with their peers and the visibility & attractiveness of your blog post or website increases vastly. When your content is shared increasingly, you will start receiving more positive responses & more traffic, and in turn search engines like Google will rank your site higher in their search results. A lot of effort, money and time goes into creating a webinar, so you would want to increase its shelf life for as long as possible. Restructuring your webinar content and transforming it into a series of blog posts is a great way to start seeing solid results for the amount of time and money investments you would have made. They not only serve as a reminder to the webinar participants of the topics that were discussed, but you would also be able to attract new audience, those who were either unable to attend the webinar session for some reason or those who were completely unaware of such a webinar! The best way to capture the essence of any meeting and obtaining a record is to recording those meetings with digital audio equipment. After the meeting, the audio recording can be transcribed and an accurate document produced for distribution to all participants. Compared to traditional capturing of meeting minutes, transcription done from audio files of meetings are way more accurate because each and every word that was spoken will be included in the meeting transcript, and a summarization can always be done from the raw transcript quickly & efficiently. Sometimes meetings get a little out of hand and people become excitable. If this happens, the moderator should ask individuals to repeat what was said so that everything is recorded. If you have lots of speakers or podium speakers in a larger room, it is a good idea to utilize the services of a professional audio visual company to ensure the entire meeting is recorded as accurately as possible. Sending your webinars to a professionally run & highly efficient transcription service provider is the best way to generate new content for your blog posts. It will assist you in producing high quality content for a large number of blogs/articles over several days, weeks or even months. You would also end up saving a lot of your time and effort & be able to devote them to more important activities. Webinar transcription thus helps you immensely in transforming your webinars into blog articles, which in turn ensures that your blog is constantly updated with fresh, engaging and unique content. So look no further. EIS is here!